Critical Care Plus is a variable life insurance that provides coverage against a wide array of major diseases and critical illnesses and sets aside funds for rainy days. 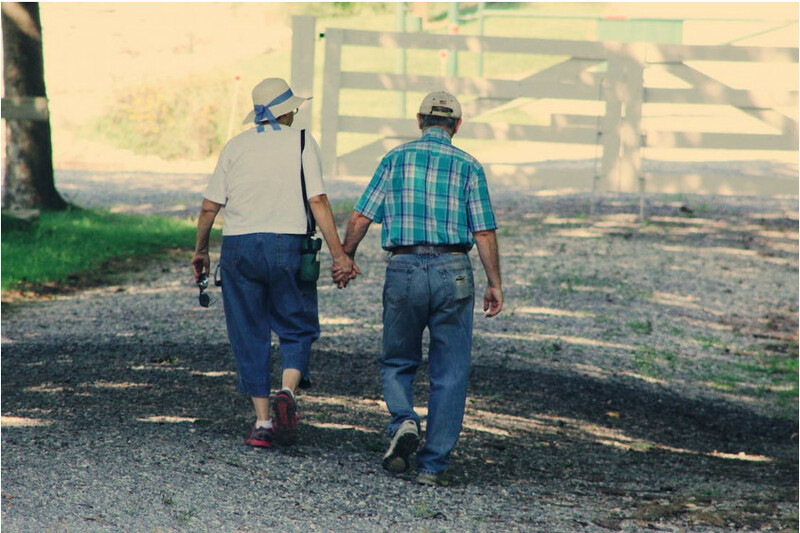 It's a double-advantage policy that gives life insurance coverage, securing the family against financial strain in an emergency, and health coverage which pays for medical bills that may arise in the future, allowing families to keep their savings undisrupted. Critical Care Plus also builds a health fund over time that can be used for additional medical services, or any expense they might also have--assisting policy holders whenever they have need of it. The journey towards a secure and better future starts with a plan, and the best one gives a whole lot more when kept for longer. Visit BPI-Philam's official website www.bpi-philam.com or Facebook page www.facebook.com/BPIPhilamOfficial to know more about Critical Care Plus and all the other solutions in the Wellness Series. Each BPI and BPI Family Savings bank also has Bancassurance Sales Executives ready to give expert advice so anyone can live life just as they planned. 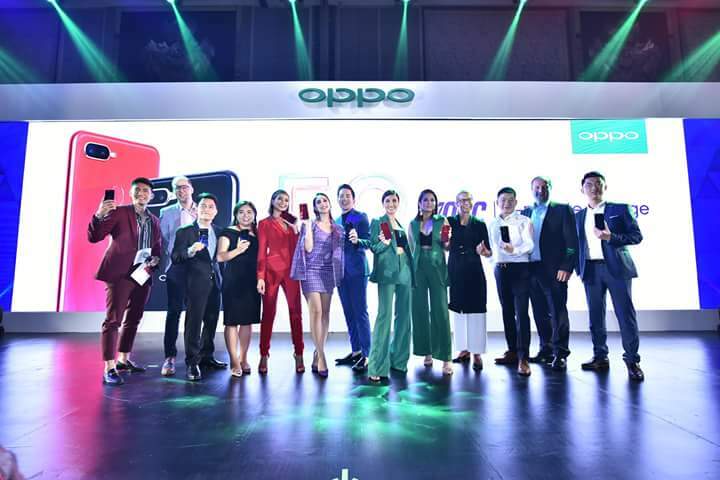 Global smartphone innovator OPPO finally revealed its latest product in the Philippines—the OPPO F9. 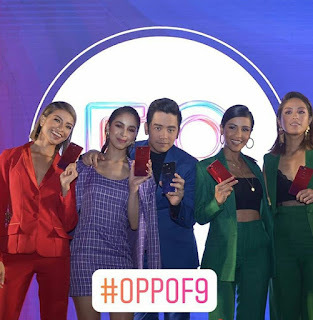 Unveiled during the grand launch at Shangri-la at the Fort, the OPPO F9 has made breakthroughs in fast charging, dual rear cameras, and design. 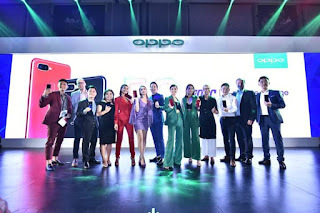 The event was also graced by OPPO’s celebrity endorsers Joshua Garcia and Julia Barretto and influencers Robi Domingo, Glaiza De Castro, Sanya Lopez and Gretchen Ho. 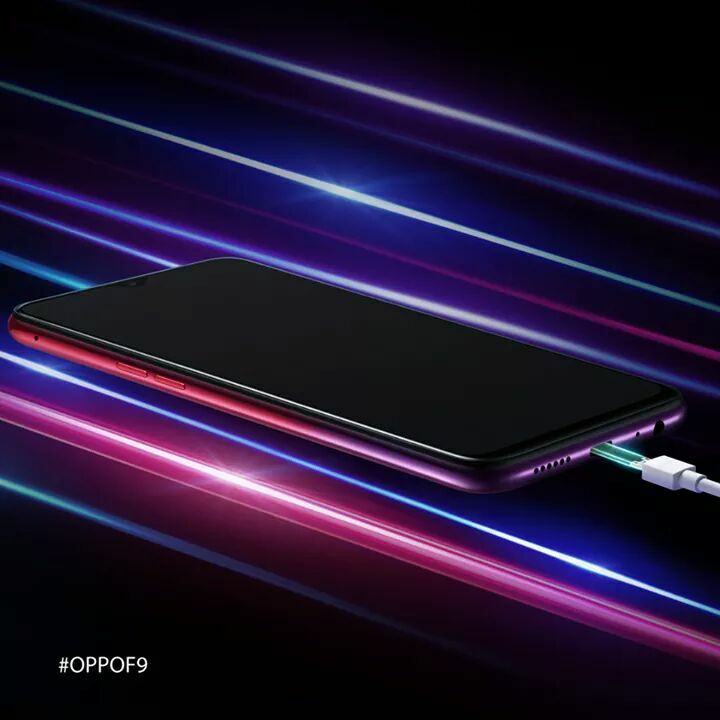 The OPPO F9 offers the revolutionary VOOC Flash Charge Technology. This technology is exclusively developed by OPPO and provides a charging speed of up to four times faster than regular charging. This means that a quick 5-minute charge is enough to enable 2 hours of talk time. VOOC also boasts an intelligent five-layer protection system from the adaptor to the port and interior of the phone. VOOC replaced the voltage reducing circuit with an MCU, effectively preventing the mobile phone from overheating while charging and making VOOC an ingenious, fast charging technology. You can also use your phone while keeping the speed of fast charging, which high voltage fast charge cannot do. Since OPPO launched VOOC in 2014, VOOC has gained over 500 patents and has been used by over 90 million consumers. Equipped with a 3500mAh battery and optimized AI battery management, F9 can guarantee great battery life. OPPO F9 offers a unique and attractive design that appeal greatly to the younger generation. It boasts of three stunning gradient color combinations-- Sunrise Red, Twilight Blue and Starry Purple. A special spraying technique is used to achieve the refined gradient partnered with flower petal pattern in the phone’s body. Another notable design upgrade in the F9 is the Waterdrop screen. Inspired by the water droplet, it allows users to have better viewing experience with an extremely high screen-to-body ratio of 90.8%. The OPPO F9 also has an impressive 6.3-inch bezel-less screen that features a resolution of 2340x1080 and an aspect ratio of 19.5:9. OPPO has established itself as the selfie expert with the unprecedented innovation in the F Series. With the F9, OPPO expands its leadership to photography. The OPPO F9 is the first in the F series to be equipped with AI-enhanced dual rear cameras (16MP + 2MP). The two cameras work together to create a depth of field and achieve a great Bokeh effect. Sixteen independent and 800 combined scenes can be recognized by AI Scene Recognition. OPPO F9’s 25MP front-facing camera also does not disappoint. The re-invented 'Sensor-HDR' technology dramatically improves backlight selfies and allows users to check high dynamic exposure live effects in real-time. OPPO F9 can now also accurately collect 296 feature points for each subject, referencing them against its massive database of facial images and analyzing features before making enhancements that are customized for each subject. The AI Beauty Technology can provide users with 8 million different beautification effects, personalizing selfies in the most attractive way possible while keeping the natural look of each human subject. In addition, the F9 supports multiple interesting camera features such as AR Stickers, vivid mode and slow-motion video. OPPO F9 sets the new standard in mid-range smartphones with its 6GB RAM + 64GB storage that promises a superb performance. It also supports two sim cards slots and one 256GB storage card slot. Based on Android 8.1, OPPO brings the ColorOS 5.2 Operating System to create a smarter and more intuitive experience for users. ColorOS 5.2 analyzes and aggregates user preferences and interests to enable F9 to be “One Step Ahead”. The F9 is also equipped with the Google Lens that identifies objects and shows relevant search results and information. 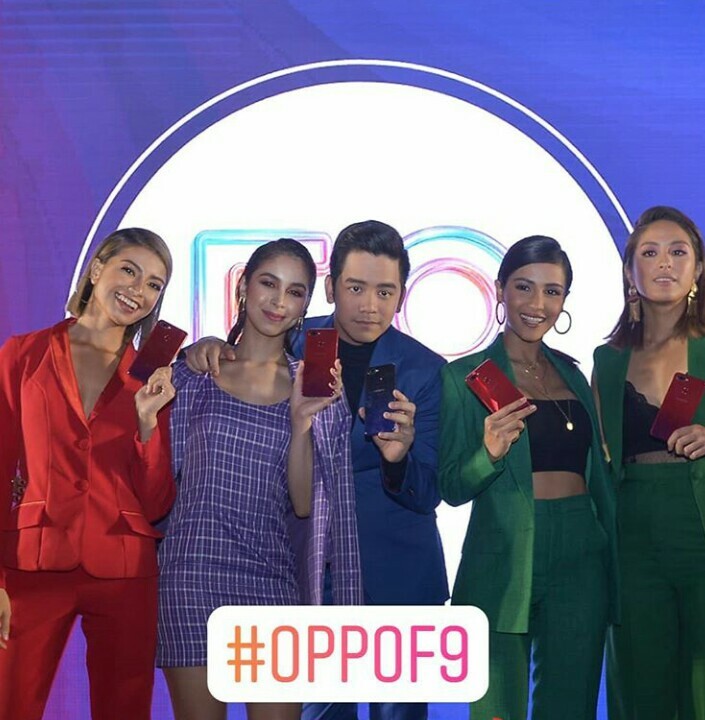 OPPO F9 will be initially available in Sunrise Red and Twilight Blue for PHP 17,990 (6GB RAM). Additionally, consumers may avail via Home Credit at 0% interest for 9 months. It is also available with Smart at GigaX Plan 1299. Pre-order starts August 24, 2018 until August 30, 2018 where customers can get freebies worth up to PHP 3,490. Home Credit, the Prague-based consumer finance company that has captured the attention of mallgoers and gadget lovers alike with its affordable in-store loans, has a very good reason to celebrate after it recently signed its three millionth customer. Lucky winner Virginia and her husband Almer were in the process of applying for an in-store loan for a flat screen TV when HCPH surprised them on the spot. Home Credit Philippines’ Chief Executive Officer Annica Witschard and Chief Marketing and Product Officer Franchette Cardona were personally there to reveal the surprise and congratulate the “winning” customers who got 5,000php worth of GCs and the perk of having the rest of their loan waived. HCPH has come a long way since its establishment in Manila in 2013. From starting with less than 30,000 customers in its first year, the company quickly grew in the next few years, hitting the one million customer mark in 2017 before finishing the year with two million customers. A few more months later, HCPH’s customer base now stands at three million. “We credit our success to the thriving market here in the Philippines. There is a strong demand for financially-inclusive products, and we are more than happy to cater to this demand by offering loans even to first-time borrowers and those without formal accounts,” Annica shared when asked about the company’s growth. According to the latest data from Bangko Sentral ng Pilipinas, 77 percent of adults have no formal accounts such as savings accounts with banks. HCPH taps this group of consumers by making applying for an in-store loan easy even if they have no credit history. The customer simply needs to approach a Home Credit Sales Associate, provide two (2) IDs, and wait for ten minutes to process their application. In addition, the company has also been rapidly expanding in terms of stores and the range of products it finances. It now has more than 4,000 stores and has a presence in more than 50 provinces and Metro Manila. In terms of product portfolio, Home Credit Philippines has also been actively expanding its lineup. In addition to mobile devices and gadgets, its roster also includes home appliances, hardware tools, e-bikes, musical instruments, and sporting goods. 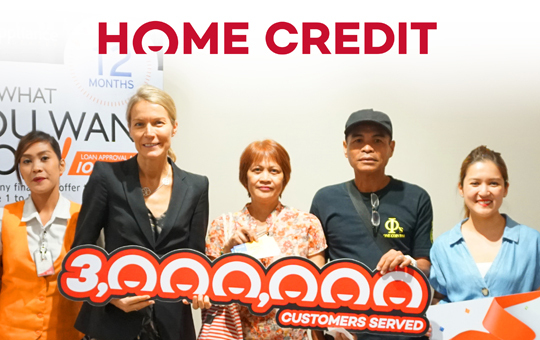 When asked about their reaction for being named the three millionth first-time customers, Almer shared his happiness by saying, “Napaka-ganda ng Home Credit dahil napapaluwagan nila yung mga tao na hindi usually na-aafford na bumili ng ganitong mga bagay.” Virginia added, “Napakadali ng proseso. Biyaya talaga ito.” [Home Credit has a good program because it helps people who can’t usually afford to buy these things. The process is very easy. This is really a blessing. Besides in-store loans, the company also offers cash loans which, according to Annika, are used by some of the customers to start small businesses so they can make a better living for their families. Others use their cash loans to pay for other needs like school tuitions or finance house renovations.